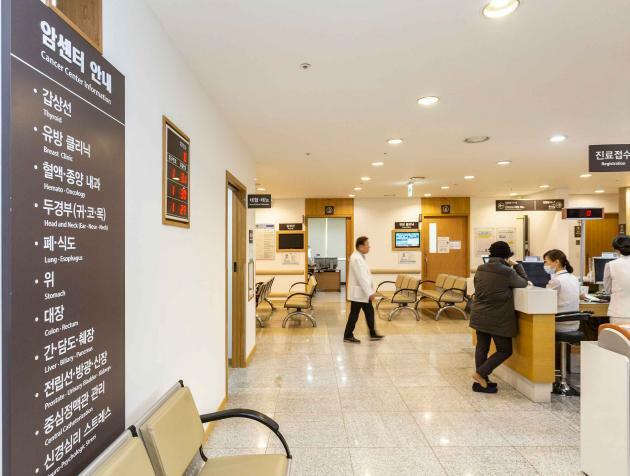 Chung-Ang University Hospital (CAUH) said Tuesday that it has opened a new cancer center, which will provide “one-stop fast track service” to treat cancer. The hospital has 40 medical staffs stationed to provide medical care for various types of cancer such as thyroid, breast, digestive, urinary, head and neck, lung, blood tumor, and radiation tumor, and also has treatment facilities for a central venous catheter and neuropsychological stress clinic, it said. The new service program will allow the cancer patients to receive treatment quickly by performing the histological examination within three days, and surgery and therapy within one week. To provide such a service, the hospital has established a multi-disciplinary integrated medical examination room, radiology room, nutrition, and patient education information room, outpatient cancer center, blood sampling room, and coordinator room, it said. The hospital has also hired a nurse specialized in cancer and a dedicated coordinator at the call center who can directly connect new cancer patients to the new center. The hospital has equipped the center with state-of-the-art devices such as positron emission tomography-computed tomography, 3.0T magnetic resonance imaging, low-dose 256-slice computed tomography, and next-generation sequencing. Such quick surgery can minimize the anxiety of the patient and increase the satisfaction of the treatment of cancer patients, Shin added.